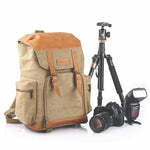 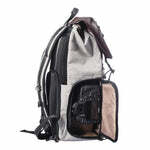 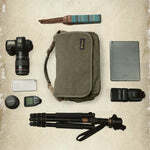 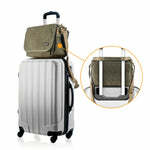 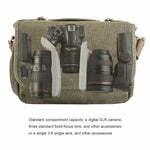 Large Capacity design can hold and protect 2 cameras+7 lens+ 1Laptop+1 Tripod + other accessories. 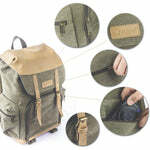 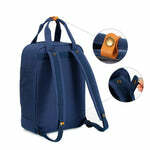 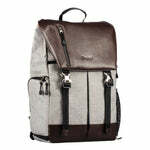 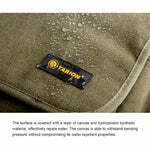 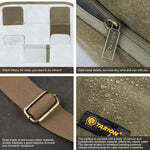 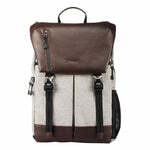 Adopting high density anti-tear, water-resistant nylon, made TARION PB-01 backpack durable and portable. 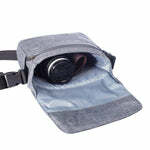 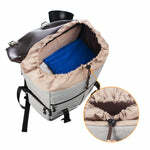 With extra rain cover Ideal for outdoor photography shooting, traveling, hiking etc. 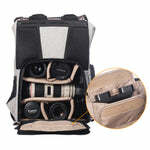 Unique design: Attached one small single shoulder bag can hold and protect 1 camera 1 short lens. 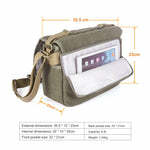 Can be used as a waist bag or handle bag. 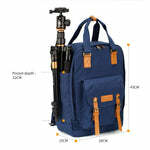 The shoulder strap could be adjustable according to your height, making high capacity camera backpack is no more a patent for tall people. 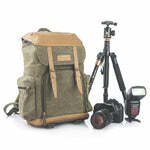 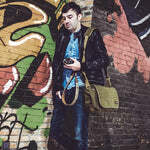 This 27L backpack is fully capable of holding more than 1 camera and 6 lenses. 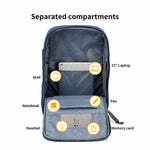 Main compartments are customizable with removable dividers, fully utilizing its capacity to suit your needs. 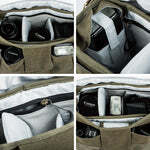 Unique design a smaller multi-function waist bag is included in the bottom compartment. 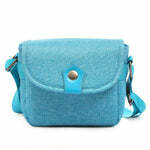 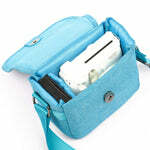 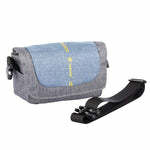 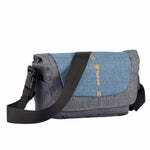 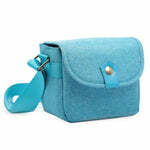 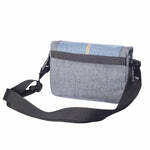 It can be used as a waist bag, a shoulder bag, or just grab it and go! 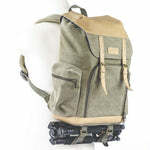 Our ventilated shoulder straps, sternum straps and waist straps are all adjustable for weight distribution in order to satisfy all body types. 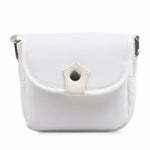 It even has a whistle on the right shoulder strap. 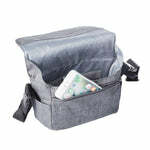 Made from high density nylon which boasts anti-tear and water resistant properties. 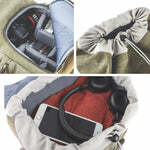 Rainfly is prepared to ensure all items stay dry in downpours as well. 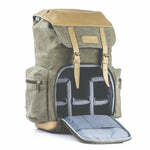 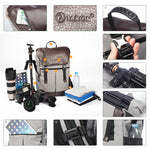 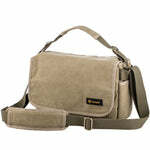 For bottles, tripods or any other accessories, it has front, side, waist pockets that can easily fit your needs. 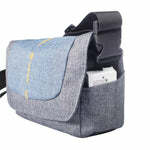 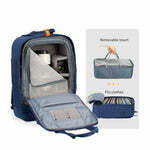 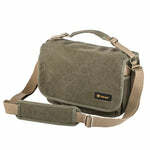 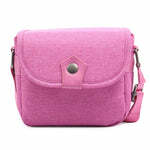 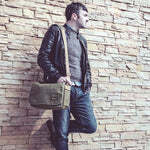 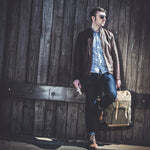 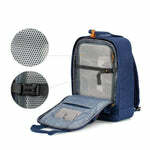 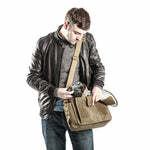 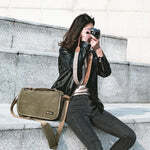 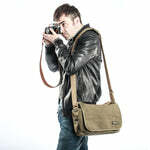 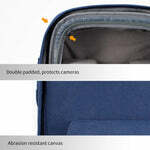 Includes a concealed laptop sleeve which can fit laptops up to 17”, easily accessible through the back.